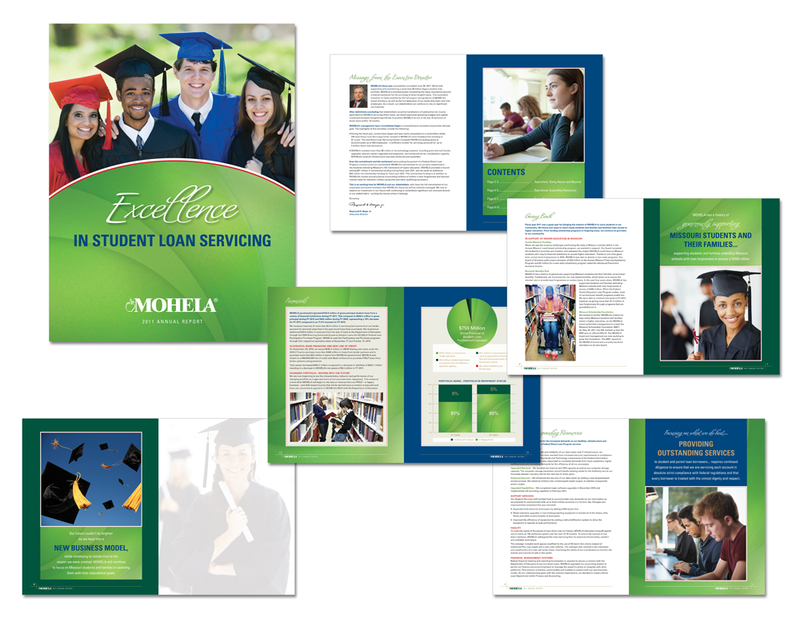 Bringing a brand to life in a new environment was the immediate challenge for the Missouri Higher Education Loan Authority. 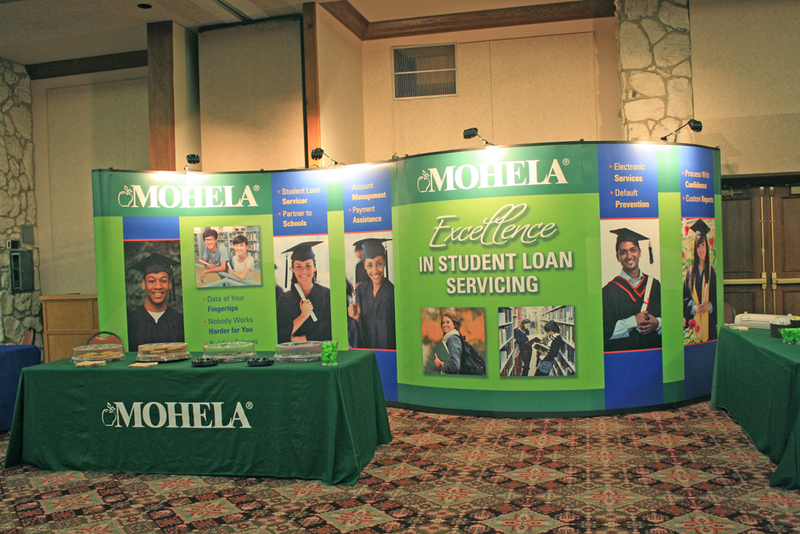 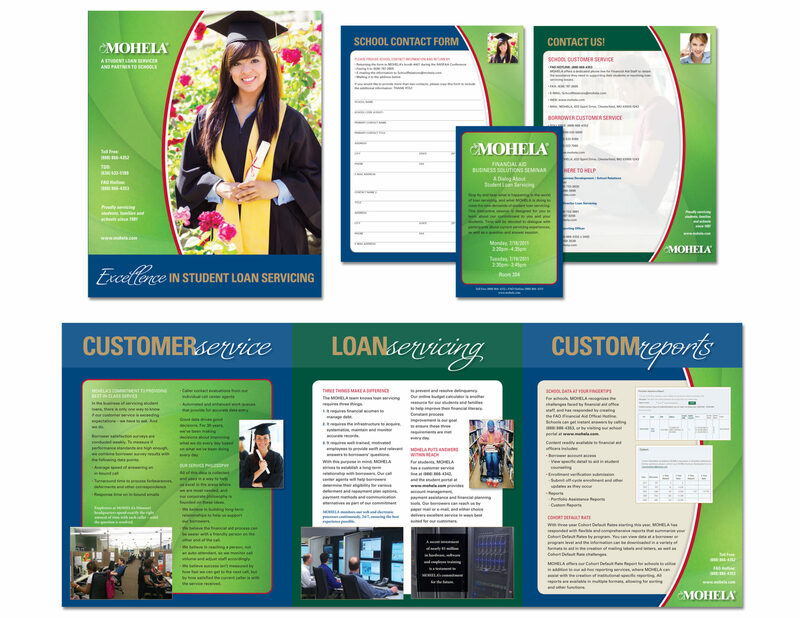 When the student loan industry was revamped during President Obama's administration, MOHELA survived as a primary lending agency with the United States Government as their client, receiving complete loan documents in need of servicing through their terms. 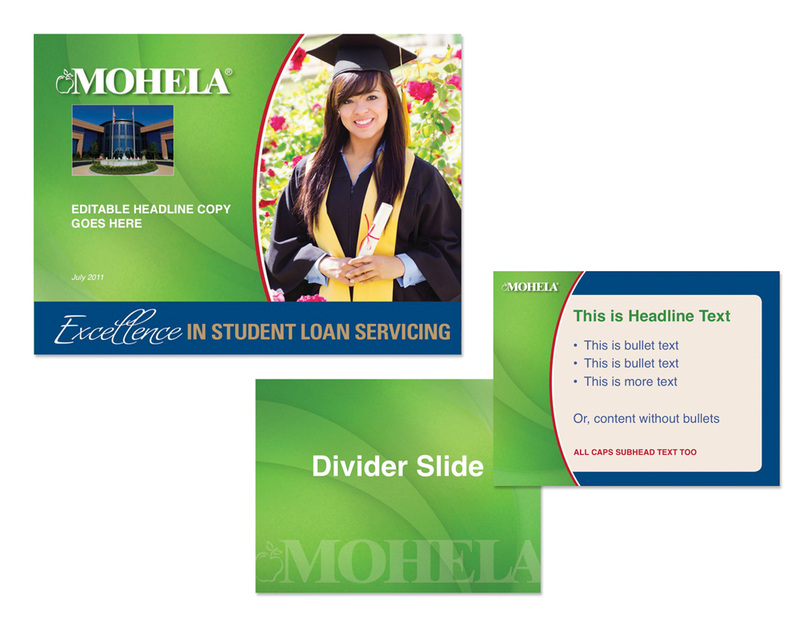 Completing a rigorous review and selection process, MOHELA was selected as a preferred vendor, and brought StratCommRx aboard to freshen their brand and messaging to meet the changing environment. 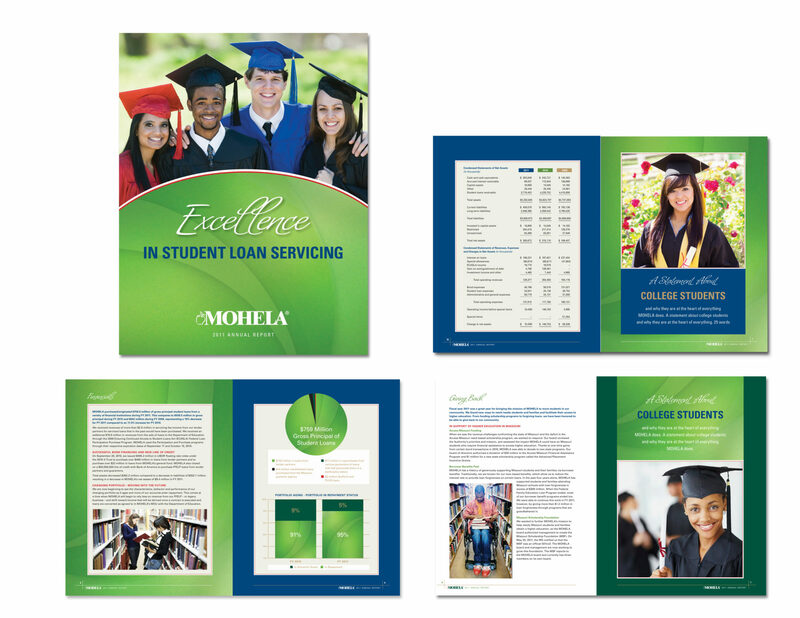 Trade show print collateral, booth design, and the annual report all were transformed with bold images, fresh copy, and clear design.